JAR: Your book is a prophetic call to the Church to wholeness. In that process, what do introverts need to be most careful of in respect to honouring and understanding extroverts? 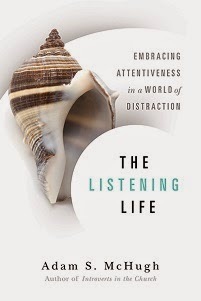 AM: I love that you spelled “honouring” with a “u.” <JAR: I am Canadian, after all> One of my greatest fears surrounding this topic is that introverts, as they read the book and appraise their religious communities and traditions, will adopt a victim mentality. Already I have run into a number of introverts who are angry and resentful and who have many grievances against extroverts. What I want for them is to deal with their pain appropriately and constructively. 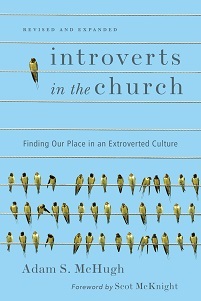 I do not want my book to be a springboard for greater division and conflict among the church, because the reality is, there are a LOT of introverts out there who haven’t often been advocated for. Love must be our guide, and lashing out or vindictiveness is clearly not the way of Jesus. Nor is blaming others for our issues in a way that allows us to remain exactly as we are. We’re always called to growth in love, forgiveness, and compassion for others, regardless if we receive the same from the hands of others. I want introverts to read my book and take positive steps towards resolving conflict with extroverts, initiate constructive dialogue in their communities, and demonstrate the profound gifts they have to offer others. My hope is not that the scales will now be tipped in favor of introverts and introverted ways of thinking and acting, but that we can find a balance between introversion and extroversion so that our communities will show both the depth and breadth of God’s love.